leaders since the foundation of the movement in 1875. Aquarian Theosophist”, in October 2001, pp. 11-12.
in 2005. We have added the notes at the end of the text. 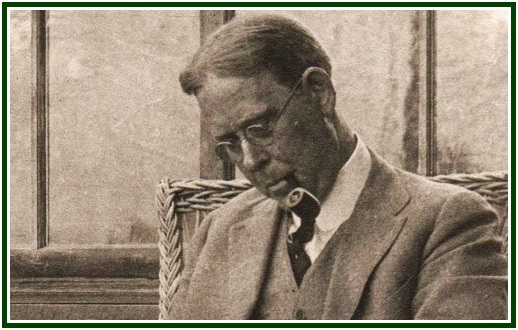 John Garrigues, known to friends as JG or to young people in Los Angeles as “Uncle John”, was a mainstay of the United Lodge of Theosophists (ULT) since its inception in 1909. Since he passed on in 1944 , anyone who remembers him has to be pretty well along in years. I first met JG in 1929-30 when he and Grace Clough  came to New York to put the local ULT on a firm footing. B.P. Wadia  had established that ULT center in 1922 upon leaving the Theosophical Society [Adyar] and joining the work of ULT. When he left to return to India, there was suddenly a vacuum in the work of the New York lodge. Mr. Wadia was an accomplished worker and speaker who did virtually all the work in New York (lectures, study classes, etc. ), attracting large audiences and much interest in Theosophy. My father found Theosophy once again about midway through the seven-year period of Mr. Wadia’s presence (1922-29). He had contacted it casually through a college friend when going to Columbia University in New York, and it made sense to him. He rediscovered it through an ad in the New York Times and became a regular at meetings. Mr. Wadia held Theosophy School on Saturday morning, which was a work time for my attorney father. As soon as JG and Mrs. Clough arrived, they changed the time to Sunday morning, which was when Theosophy School in Los Angeles met. My father then brought me at the ripe young age of 9. I attended long enough to be eligible to join the newly formed New York Pathfinder group  in the fall of 1930. Mrs. Clough as superintendent of Theosophy School was a good communicator with the minds of children. She held my interest, and theosophical ideas made sense to my questioning mind. I did not accept new ideas lightly even at that young age. My father later told me that JG and Mrs. Clough put willing students to work rather than just having them listen, which is what happened in the previous seven years. The roster of good speakers at the New York lodge eventually became extensive. The new workers did not attract 500 people to a lecture, but most of the people came again, and many joined in the work. The early location at 67th Street and Central Park West was in an apartment-hotel that had a large auditorium. Some of the workers lived in the building or nearby. We and most other New Yorkers commuted mainly by sub-way when the fare was just a nickel. The next time I encountered JG in person was in the summer of 1941 on my first trip to Los Angeles. He and Grace Clough were vacationing at a Pacific Grove summer vacation home on the Monterey peninsula. I came to California by train and stayed with theosophists active in the work that I had become acquainted with by mail through Pathfinder activities. I came down to the lodge at 33rd and Grand  almost every day to work with Gordon Clough and Henry Geiger, the two chief publication workers, on “Theosophy” magazine. In the course of a six-week stay, I wrote about two “Lookouts”  worth of material that the editors had collected on various subjects, mostly scientific as I recall. Mathematics and science were my strong suites. During that time JG and Mrs. Clough came down to Los Angeles for about a week, and I got to converse with them several times. The five of us also went to lunch together several times. JG liked to shock people out of detectable complacency, although I did not realize it at the time. He casually asked one time at lunch if I knew why in the old West the people who drank never mixed their drinks. I thought to myself, “Why would a theosophist talk so casually about something that we did not approve of?” JG went on to explain why mixed drinks were not good. I don’t remember the explanation now, but I think it was correct and made some sense to those who drank alcoholic beverages. I remained puzzled for some time. The others took JG’s remarks in their stride since I think they knew his modus operandi well. I heard that during his Sunday night lectures, which were presented in a quiet tone of voice, he often suddenly thundered out some words in a loud voice. When asked about this, he said it was to wake up the people that he may have put to sleep. This showed a good sense of humor as well as an awareness of audience response to what he was saying. His tactic was a kind of shock similar to that of his remarks to me on mixed drinks. He kept people on their toes so they could respond actively to what was going on. Unfortunately, I did not see or hear from JG again in this life, but I certainly felt his influence in all theosophical work, past and future. In the original, 1943, which is a mistake. John Garrigues died during the first part of the evening, on May 24, 1944. Garrigues was born in the United States, 12 September 1868. Grace Clough. One of the pioneers of the United Lodge of Theosophists, from its foundation in 1909. Mr. B. P. Wadia (1881-1958) played a key role in giving the ULT a worldwide strength and expression. Like John Garrigues, Mr. Wadia is among the greatest theosophists since the creation of the theosophical movement in 1875. Among his best-known books are “The Gandhian Way”, “The Building of the Home”, “Studies in ‘The Secret Doctrine’ ”, Book I & II, and “Living the Life”, all of which can be obtained from Theosophy Co. (India). Pathfinder Group – a group of young theosophists. “Light on the Path”, a book written down by M.C., Theosophy Company (India), Fifth Indian Reprint, 1991, 90 pp. The ULT building in Los Angeles. 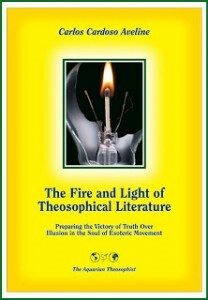 The author is referring to the Section “On the Lookout” of “Theosophy” magazine.